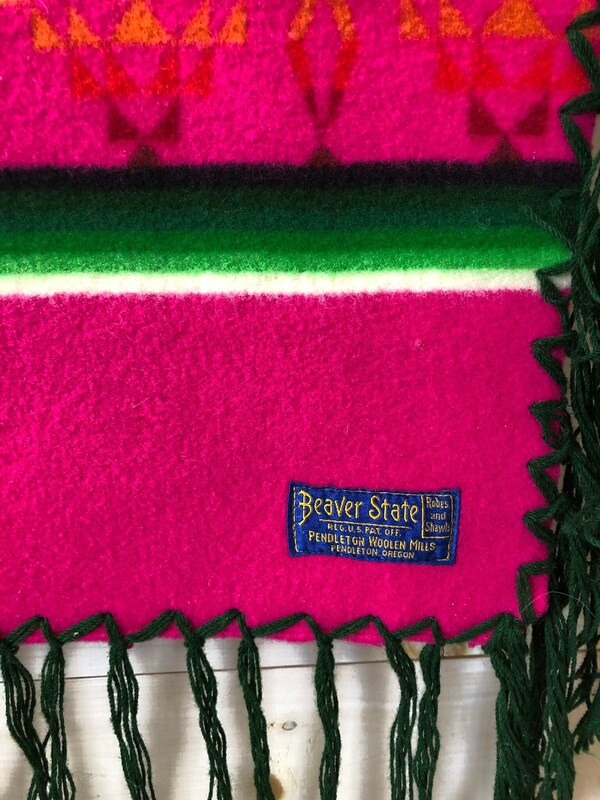 Vintage “Beaver State” blanket by Pendleton, wool blanket or shawl/robe in great condition and amazing colors. 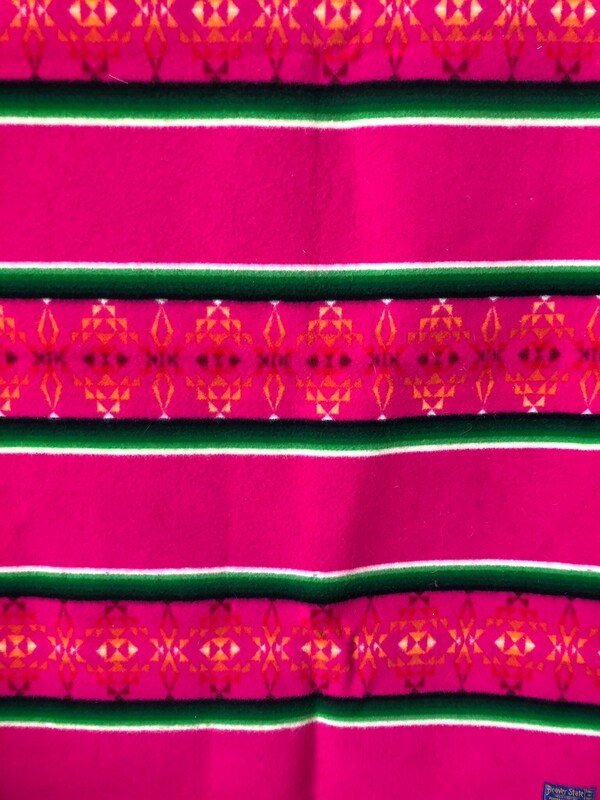 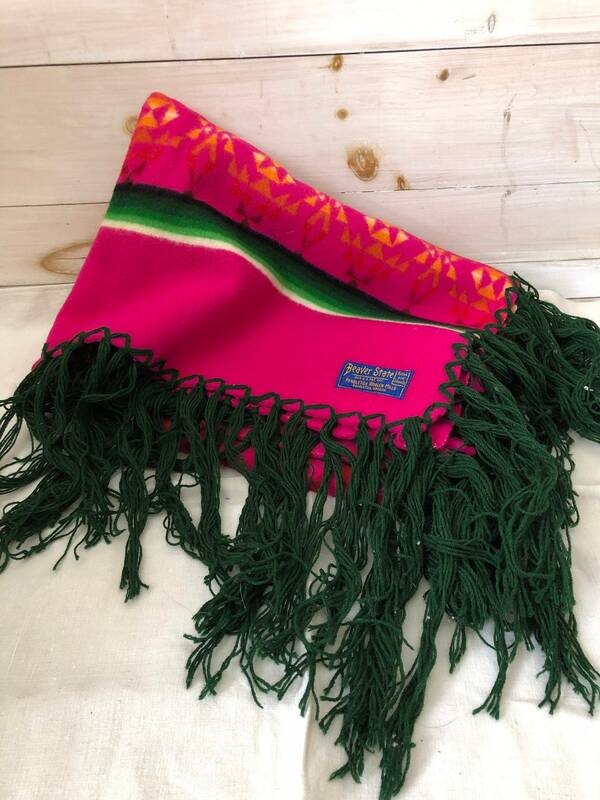 Includes a dark green fringe on all sides, and a great Aztec pattern. 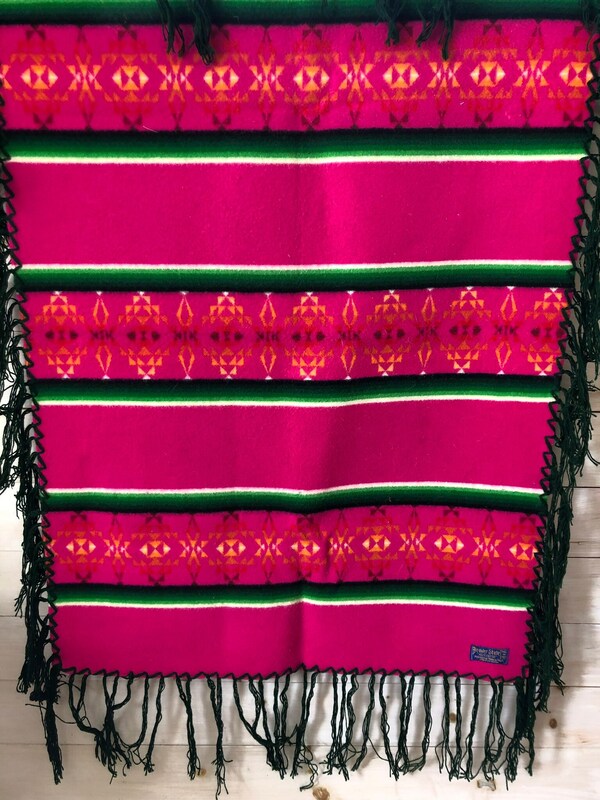 Blanket measures 32” by 46” without fringe, fringe is approximately 3.5” itself.